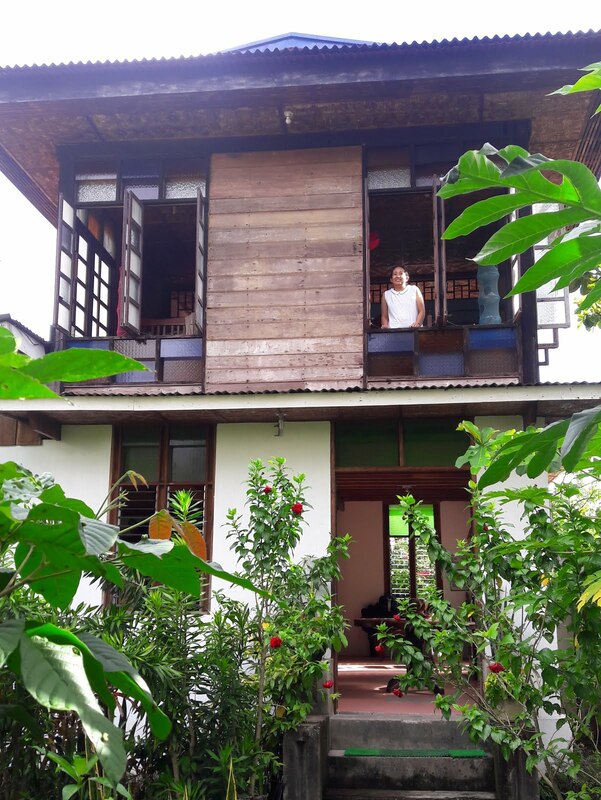 My friends Albert and Minnie decided a few years ago to leave the hustle and bustle of Metro Manila for the simple and more relaxing life in Mindanao. For the past 5 years they lived in the quaint ancestral house in Surigao del Sur belonging to the Cabrera clan. 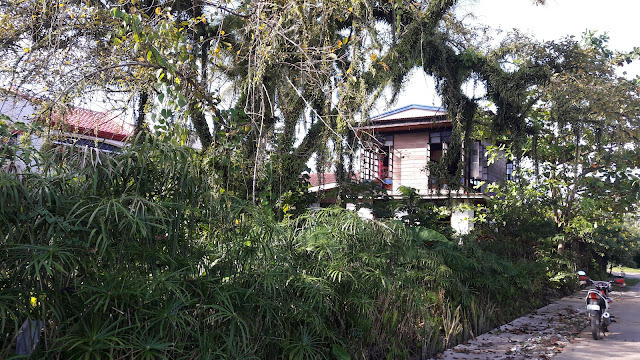 Last March my other friend Pinky and I visited them again (we did before in 2013 while the house was still being fixed) and we were elated to find that the couple's projects are starting to come into fruition. The house stands in a lot of about a few hundred square meters but the buiding footprint occupies about a fourth of the lot area. The remainder was planted with a garden with lots of ornamental and edible plants cultivated by some of their household mates and by Minnie and Albert themselves. It appears to be the greenest property within the city center. 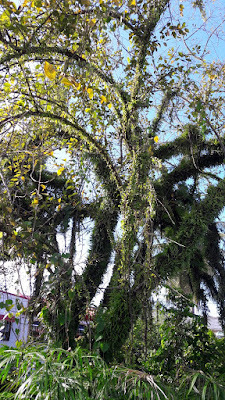 One garden feature which immediately ctches every visitor's eye is a massive tree at the farside of the lot which appears to be anonang (Cordia sp. probably C. dichotoma). Minnie had many stories about the garden. One is that people, some are pure strangers, come knocking on their door asking for plants. But there are a number of them who ask for leaves and branches of the anonang tree to use as medicinal remedy. She does not exactly know what sickness they are used for though but recalling a friend's statement, they were used for high fever and poultice for 'pilay' in Bicol. I have not confirmed whether these claims are true but it is evident that even here in Surigao, they believe anonang has some medicinal properties. I frequently encounter anonang in my trips to different provinces but everytime I see a tree, I can't seem to remember how to identify them. It appears unremarkable to me, with non-memorable features. I tried to examine the Cabrera house anonang but it is hard to see the individual leaves as most are high up the tall specimen. 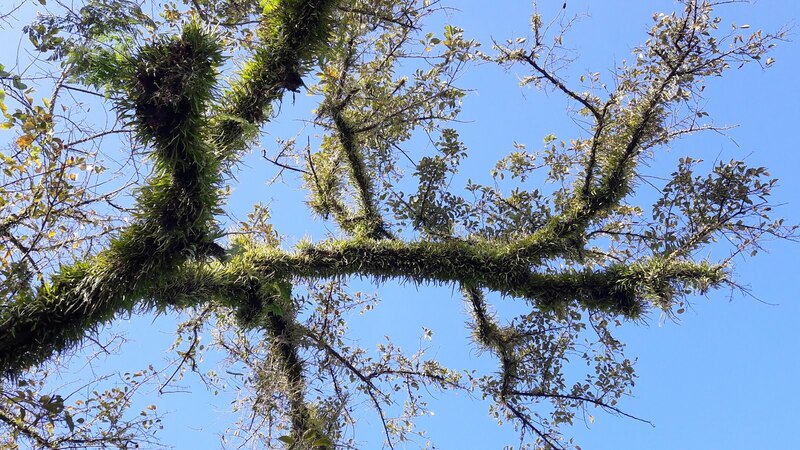 Plus the tree is enchantingly covered with Pyrrosia ferns. 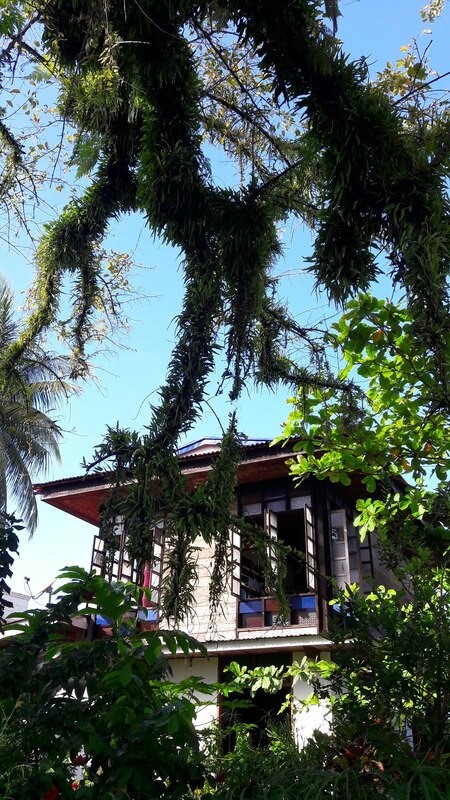 The anonang beautifully frames the old house charm of the old Cabrera house, adding a little more rustic character to that part of Tandag City.